Did you know that you can download your flipbooks in a PNG format? First, you need to publish the flipbook and then go to the My Flipbooks section. Right next to the flipbook which you want to export, you will see three dots. 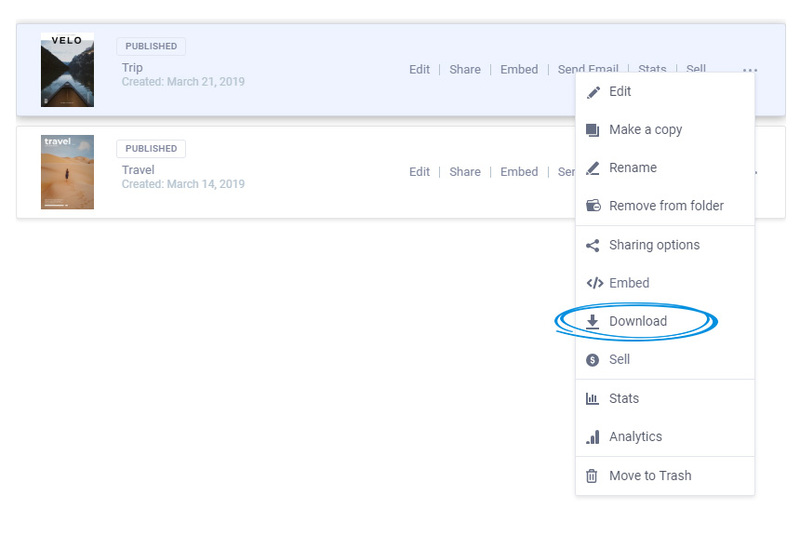 You can click on them and select Download. After you click that, a new window will be opened. You will see all our options available. 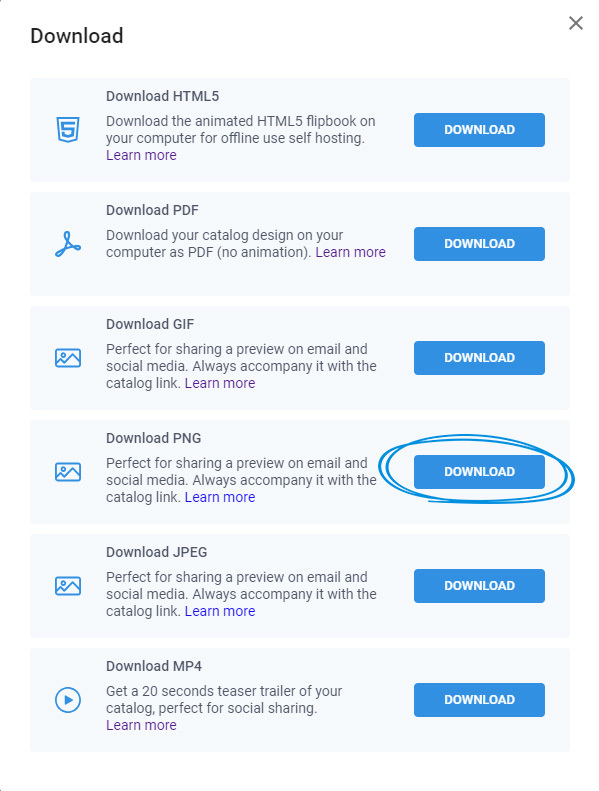 Click on the Download option next to Download PNG. Once you click on Download, each page of your work will be downloaded in an archived folder on your device. That's all it takes. We want to know your opinion about this, so you come on the live chat and let us know what you think! Important: The PNG download offers a slightly bigger size file that handles lossless compression better and also includes the transparent background option, so you can reuse your photos in other different projects.